Allison Kociuruba, professional recipe developer and the creator of many of our berry recipes, shares her favorite blackberry recipes for holiday giving this season. Do Driscoll’s berries evoke happiness? Of course they do. I know this from eating them, baking with them and most importantly from the smiles on my kiddos faces when I serve them for breakfast or an afternoon snack (blackberries especially!). One of the perks of being someone who cooks for a living is getting to share all of the variations of recipes I’m working on with my neighbors and babysitters. I once baked 16 cheesecakes in one week! As we approach the holidays my focus shifts to making homemade gifts for family, friends and my children’s teachers. I’ve found that gifts made with berries bring the most happiness and smiles. Our lives get busier by the minute these days and it seems like no one takes the time to make homemade gifts anymore. One reason is that there are so many beautiful and delicious store-bought options available to buy these days and secondly, we are all working overtime trying to get things done for our own families. Despite all that I think the art of homemade food gifts is one that will never die and one that I enjoy doing as often as I can. There’s nothing quite like the look on someone’s face when you give them homemade food (especially a sweet treat). With a berry gift, you’re giving fresh juicy berries and the time and thought it took to make something delicious for someone else. Lucky for you (and me) there are a number of great ideas for berry gifts. Driscoll’s blackberries are particularly sweet and delicious at this time of the year so you’ll find many of my recommendations contain blackberries. One recipe that I’ll be making in large batches to share with special folks and for my son’s classroom holiday party is the Blackberry Swirl Almond Cookies. They can be packaged in a tin, stacked in a clear cellophane bag or packed into a beautiful mason jar. They are sweet, simple and one of our favorites. I think the teachers and administrative staff at his school will also appreciate the Spiced Blackberry and Raspberry Jam that can be spread on toast or used on a sweet and savory cheese platter for quick and easy holiday entertaining. 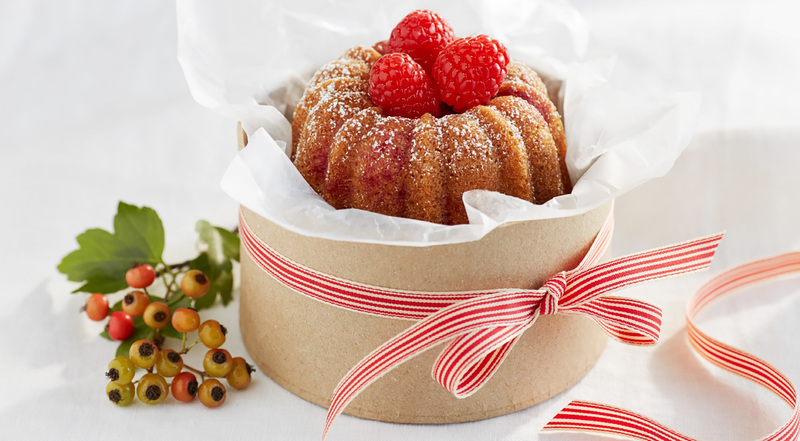 My neighborhood moms will be getting the delectable Mini Olive Oil Bundt Cakes with Fresh Raspberries, only I’ll gift them with a bowl of fresh raspberries and blackberries and instructions for the moms to enjoy them all to themselves as a reward for hustling to make everyone else’s holidays so special! For my sister-in-law who helps us so much throughout the year I’ll be making the Blackberry Pecan Cinnamon Rolls (and surprising her with them warm from the oven at her doorstep). She loves breakfast pastries and she likes to sleep in so this is sure to put a smile on her face. Hope she’s not reading this before Christmas!! 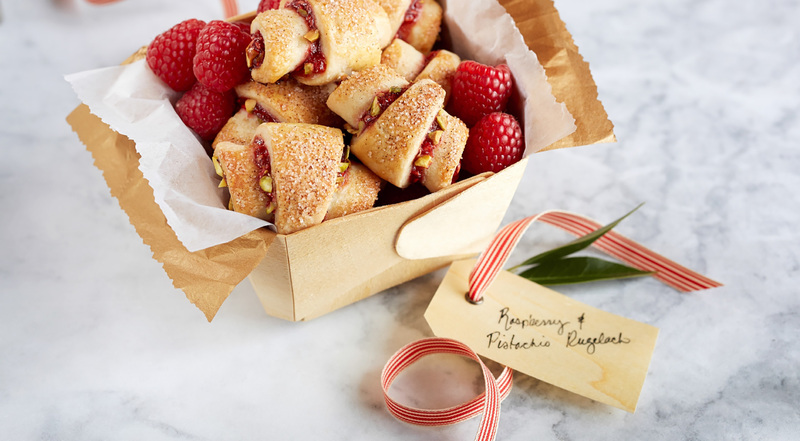 I’ll definitely make the Raspberry and Pistachio Rugelach for my rugelach-loving mother-in-law as she makes the trek from New York to Texas to visit us for Christmas this (and every) year. Her father (our treasured almost 90 year old “Pop”) has always been their family’s baker and he used to make these every year as well. He won’t be making the trip down for the holidays this year so hopefully this will be a great way to celebrate him from afar and make everyone feel like he’s with us in spirit. And finally, the kids and I will make the Christmas Tree Berry Hand Pies together for our family holiday meal with my parents visiting (also from New York). They love rolling out dough and using cookie cutters so we can have fun and make some amazing baked goodies we can do together. I can’t wait to share these little gifts of juicy berry happiness. When it comes to the holidays for me, giving is receiving and this year will be one of the berry best!